As South Africa’s largest province, the Northern Cape offers virtually endless potential for escapism. Stretching over 360 000 square kilometres, the region offers everything from luxuriously appointed tented camps in the heart of the Kalahari desert to camping along the mighty Orange River. Its remote, open spaces allow you to get away from the hustle and bustle of modern living and to reconnect with those closest to you. The vastness of the province and absence of pollution also make it an incredible stargazing destination. The Northern Cape is a truly remarkable holiday destination. The distinct groups of the Northern Cape offer a rich cultural experience. 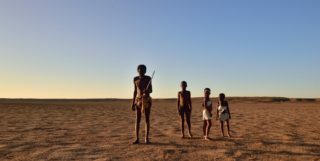 Unlock the secrets of the African bush in the company of the first human inhabitants of the region, the Khomani San. Swim in the hot pools of the small settlement of Riemvasmaak, and discover the ancient wisdom of the Nama of the Richtersveld, a World Heritage Site. Explore living villages, shop at craft markets, indulge in authentic regional cuisine and be transported to the world of the ancestors through campfire storytelling and dancing. This way, you will experience the heartbeat of the province and take a bit of the Northern Cape's soul with you when you leave. Whether you are stargazing in Sutherland, hunting for fossils in the Great Karoo or searching for San rock art deep in the Diamond Fields caves, the Northern Cape offers more than an adventure – it’s an enriching life experience. 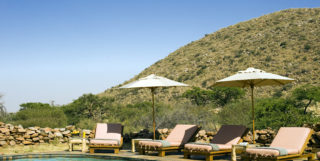 Other options are to witness the world’s richest floral offering in Namaqualand in spring, camp in the bush surrounded by wildlife and the famed black-maned lion of the Green Kalahari, or kayak down the mighty Orange River. 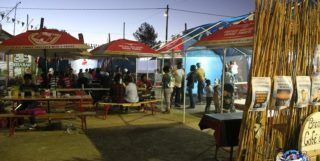 The Northern Cape has always been a family-friendly destination, offering a wide range of accommodation choices and fun, educational activities for all. The province is home to six national parks and two of the country’s largest rivers, which makes it perfect for trips and recreation for the whole family – from game safaris, bird watching and hikes to wine tours, museum visits and archaeological discoveries. The region has a distinct and rugged natural beauty. For the active, it’s an awe-inspiring setting for exploration and adventure. Visitors can choose between a UNESCO World Heritage Site and two transfrontier parks, the Kgalagadi and the Ai-Ais Richtersveld, with its red and golden sand dunes. Share the intimate bush knowledge of a Nama or San guide or tracker. The Northern Cape’s natural beauty is enhanced by its enigmatic wildlife. From the "Small Five" to the Big Five, watching wild animals at close range is something truly unforgettable. There are walking, horseback riding, four-by-four trails and many more safaris to incorporate into your trip. The warm hospitality of the people of the Northern Cape makes visitors feel like celebrities. They can stay in luxurious establishments, be pampered with spa treatments, dine on fabulous food and wine and afford once-in-a-lifetime experiences they’ve been longing to try. Not only will visitors from abroad enjoy an excellent exchange rate, but local facilities, activities and service equal outstanding value, so you can do more with your money. It is called value for luxury. 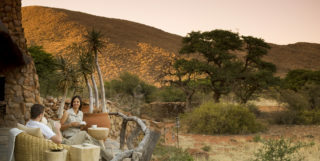 The sunny Northern Cape's great weather invites visitors to enjoy the outdoors, play golf year-round, indulge in massages under open skies, hike, go game viewing or canoeing, have a braai or a potjie or go on stargazing safaris. There's an outdoor adventure activity or experience for everyone. Due to the Northern Cape's great weather, diverse cultures, adventure credentials, historic Freedom Struggle, lively urban rhythms, award-winning food and wine, luxury accommodation, natural wonders, spirit of Ubuntu, fascinating wildlife and welcoming nature, the province has become a firm favourite for domestic and international travellers. Build memories to last a lifetime with an unforgettable, life-enriching trip to the Northern Cape. The province's unspoilt nature and breathtaking scenery with deserts, rivers, beaches, mountains and forests provide the perfect backdrop for the wedding of your wildest dreams. That is why the Northern Cape is fast becoming one of the world’s most desirable and sought-after wedding and honeymoon destinations. The Northern Cape boasts six national parks, six provincial nature reserves and numerous private game reserves, which allow visitors to experience all the natural splendour, birdlife and game, and awesome natural vistas of this vast province. The two transfrontier parks cross into world-famous safari destinations such as Namibia and Botswana. The province is also home to two of South Africa's largest rivers and three legendary deserts. Each region will capture the imaginations of those who dare to explore its rugged mountains, endless flatlands and undulating dunes. Each spring, the dormant, arid winter plains of the Northern Cape’s Namaqua region are transformed into a kaleidoscope of colour with the arrival of the flower season. The wild flowers are a natural phenomenon best discovered on foot, which makes it appealing to hikers and outdoor enthusiasts. As the only arid hotspot in the world, the region boasts more than 6 000 plant species, 250 species of birds, 78 species of mammals, 132 species of reptiles and amphibians and an unknown number of insects. Its floral diversity also makes the Namaqua the richest bulb flora arid region in the world.